Curious about meditation for kids? As more and more adults realize the benefits of meditation, a lot of parents have also figured out that meditation can help kids, too. Let’s take a look at some of the specifics. Children have bad moods and cranky days just like adults do. As we get older, we develop the tools that we need to handle those times. For kids experiencing big emotions in little bodies, the world can get overwhelming. Meditation helps kids find the tools that they need to deal with their emotions in meaningful, helpful ways. Speaking of big emotions, kids sometimes experience anxiety. 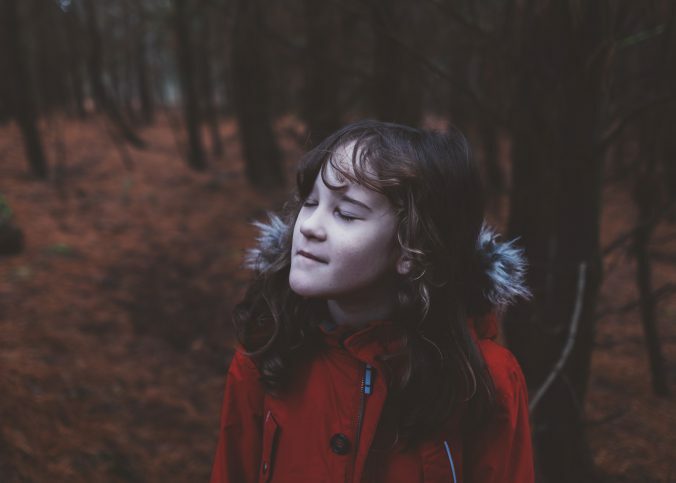 If anxiety disorders run in your family, or even if your family has dealt with a lot of stress recently, your child may deal with anxiety, too. In study after study, meditation has shown amazing benefits for people who suffer from anxiety, and that includes children. Meditation for kids can bring anxiety levels down, leading to better mental health. While we’re on the subject of anxiety, let’s talk about how it interrupts sleep. You’ve probably had racing thoughts interrupt your rest at one point or another. Believe it or not, kids sometimes deal with the same thing. By learning how to let go of thoughts, kids can get better rest at night, leading to a better mood in the morning. Since meditation is also a calming practice, it can help kids settle down before bed, too. Some elementary schools have already implemented meditation programs. Why? Well, one reason is because meditation improves focus. Mindfulness meditation trains people to focus on their breathing and to gently let distracting thoughts go. With consistent practice, kids can learn how to apply these skills to their schoolwork and other tasks that require focus. Mindfulness meditation helps people become more aware of their own bodies. With enough practice, meditators can calmly observe their own bodies without judgement. For example, meditation often involves noticing where one feels one’s breath the most prominently. Is it inside the nostrils? In the belly? When kids become more aware of their bodies in space, they’ll feel that they’ll have more control, which can translate to self-confidence. Now that you know some of the benefits of meditation for kids, how can you get your kids involved? iQurious Kids can help. Texas has some amazing meditation teachers who can help kids understand the basics. We’ve listed several mindfulness classes for kids in our directory. Go ahead and check it out today.